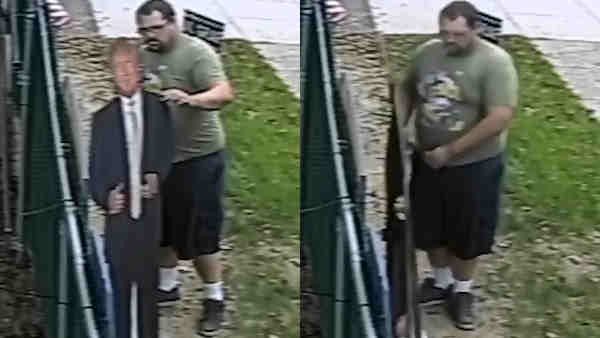 HOLBROOK, Long Island (WABC) -- Police are looking for a man they said took a Donald Trump cutout from a Long Island yard. According Suffolk County Police Department, the suspect took a life-size cardboard cutout of Donald Trump from the yard of a Holbrook home. The likeness was last seen in the yard of a home on Broadway in Holbrook on Oct. 21 at about 5:45 p.m.
Suffolk County Crime Stoppers is offering a cash reward of up to $5,000 for information that leads to an arrest. Anyone with information about the case is asked to call 1-800-220-TIPS.